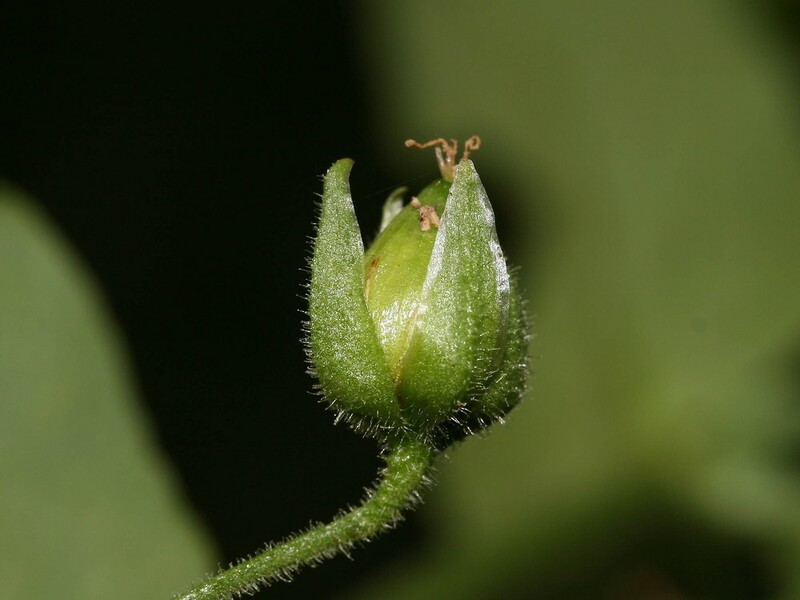 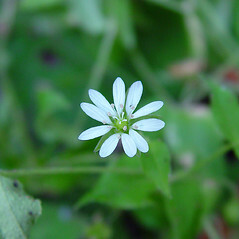 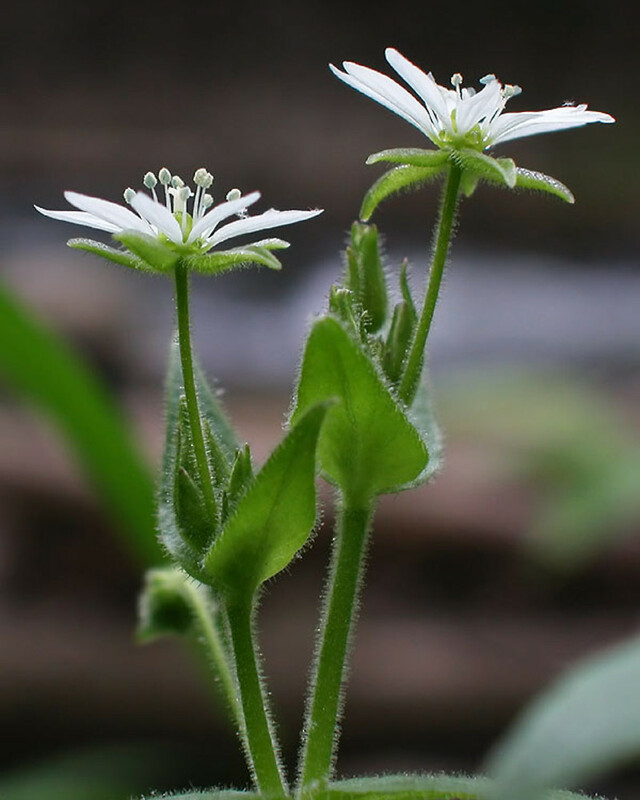 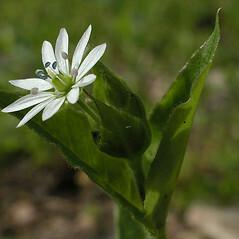 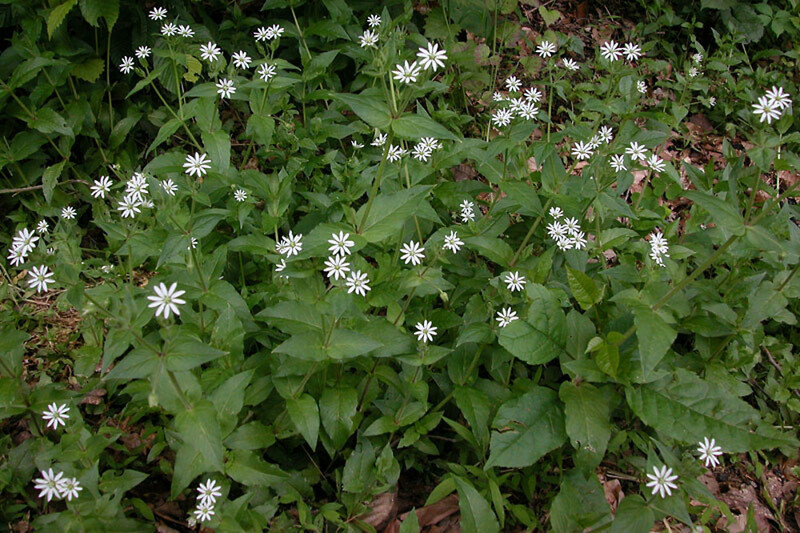 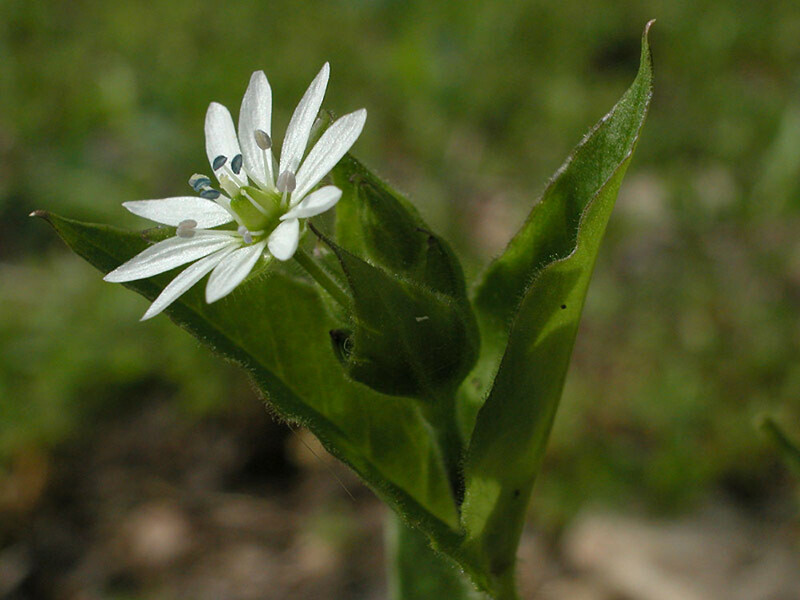 Distributed throughout the Northeast and Midwest, giant chickweed was first observed in the 1870s in Maryland and Pennsylvania. 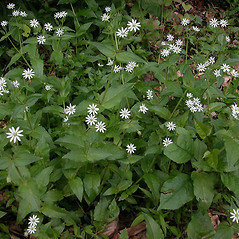 This introduced species is typically found as an occasional individual rather than in large numbers. 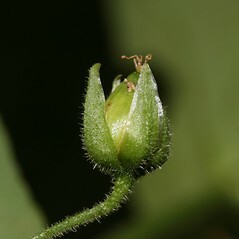 flowers with petals 1-4 mm long and 3 styles and capsule 3-5 mm long and dehiscing by 6 valves (vs. M. aquaticum, with flowers with petals 4-7 mm long and 5 styles and capsules 5-10 mm long and dehiscing by 5 valves). pedicels pubescent with eglandular hairs, flowers with 3 styles, and capsules dehiscing by 6 teeth (vs. M. aquaticum, with pedicels pubescent, in part, with glandular hairs, flowers with 5 styles, and capsules dehiscing by 5 valves). 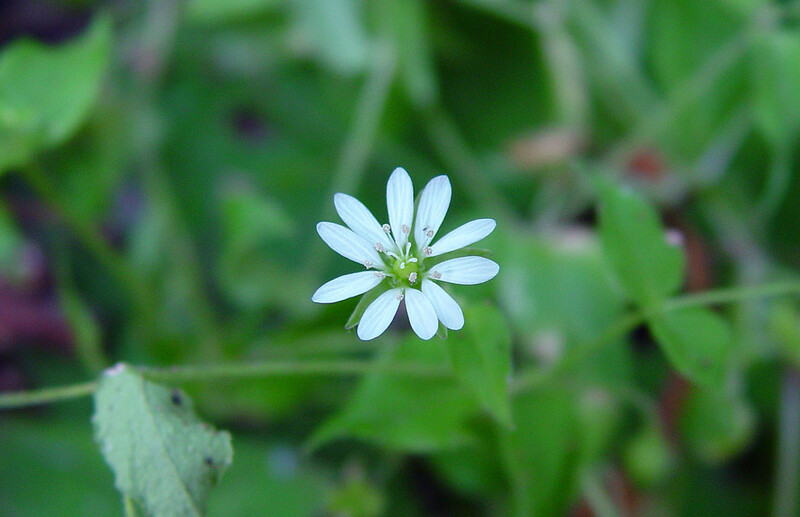 giant-chickweed. 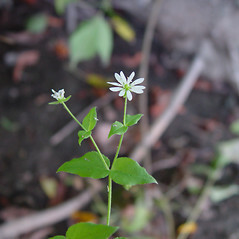 Alsine aquatica (L.) Britt. 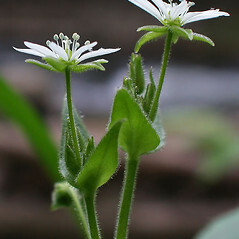 ; Cerastium aquaticum L.; Stellaria aquatica (L.) Scop. 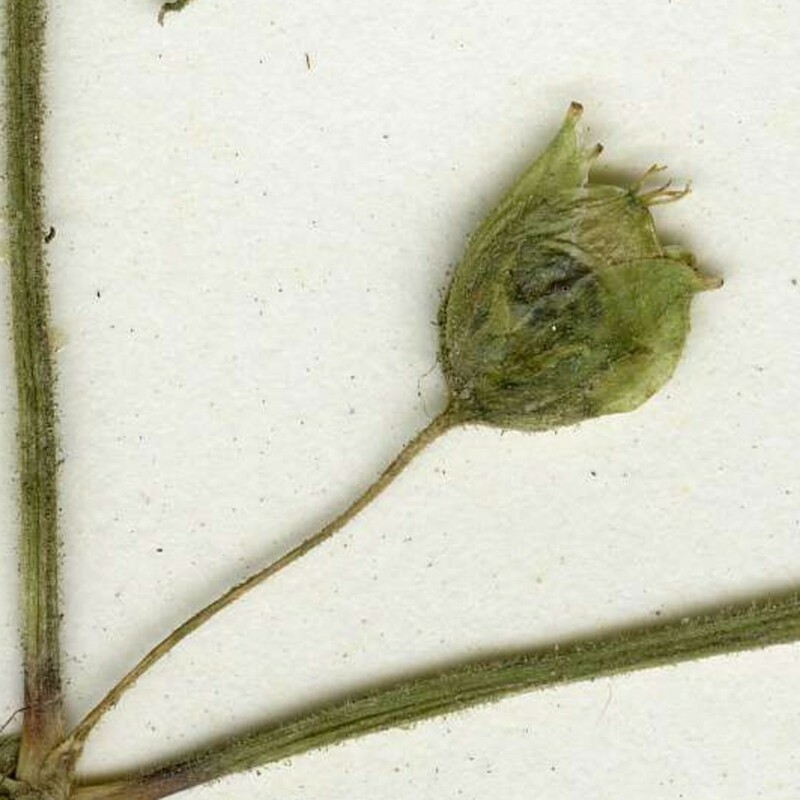 • CT, MA, NH, VT; also reported from RI by George (1997), but specimens are unknown. 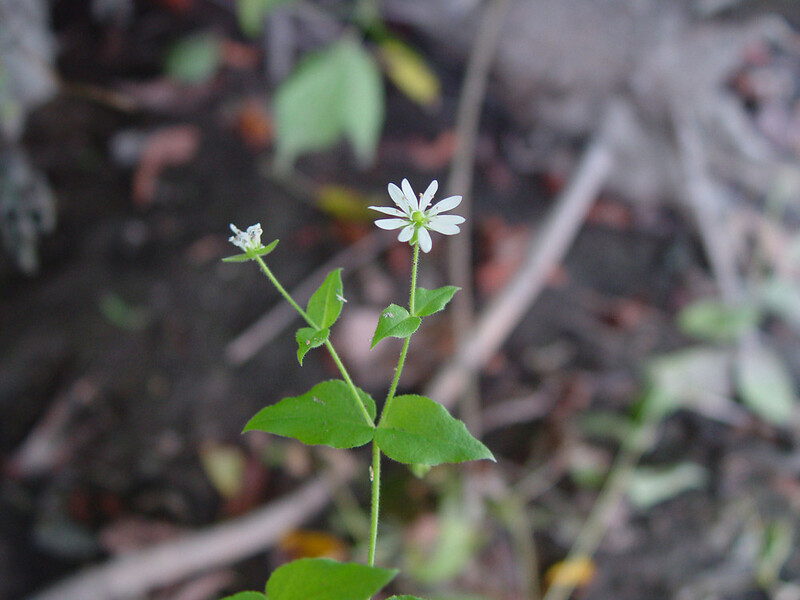 River banks, riparian forests.